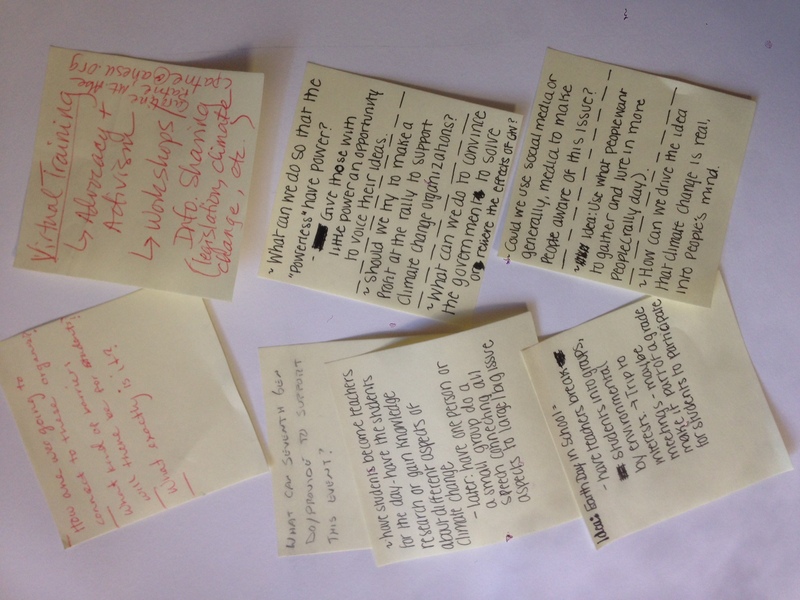 On Sunday, February 7th, teachers and students from five high schools in Vermont gathered at South Burlington High School to begin planning for a youth-focused day of acton on climate change. The students were joined by representatives from the Vermont Public Interest Group (VPIRG), 350VT, Vermont Energy Education Program (VEEP), UVM Extension 4H Program, and Seventh Generation. We began the day with a Compass Points activity and a discussion about the importance of having a well balanced team. We introduced ourselves briefly and then voted on a process to make collective decisions. We briefly ran through a series of Community Norms and voted to accept these norms for our group. You can check out our Decision Making Protocol and Community Norms on our Meeting Agenda. We then heard from Liz Edsell (VPIRG) and Brittany Dunn (350VT) about some of their organizations’ initiatives including: carbon pollution tax, promotion of clean energy, and divestment. The rest of the meeting was spent creating a shared vision for the event. We wanted to create a fun atmosphere to draw large crowds, but not lose sight of the ultimate goal, which was to send a serious message to lawmakers that the youth of Vermont expect strong action on climate change in 2016/2017. We spent a good amount of time discussing the best date for the event and discussed the pros and cons of Earth Day, April 22nd (which falls in the middle of Spring Break), versus another day during the school week. We ended up agreeing to a Wednesday or Thursday during the school week because we felt it offered the best chance to draw large numbers of active and engaged young people. We finished the meeting in small groups where we brainstormed exactly what the day would look like and then shared our thoughts with the larger group. We all agreed that the day should include three major parts: 1) time where students can learn more about climate change, energy alternatives, methods of political action, etc. ; 2) time to rally for the cause; and 3) time for some students to testify in front of Vermont Lawmakers. 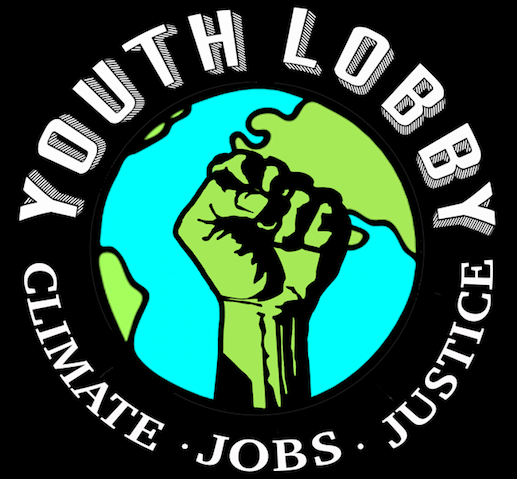 If you are interested in helping our coalition grow, please feel free to contact us at youthlobbyvt@gmail.com.